Pulse surveys are short employee polls repeated at regular intervals. They’re a great way to get immediate insight into the health of a company and its workforce. Pulse surveys can measure a wide variety of topics and items, including engagement or project feedback. 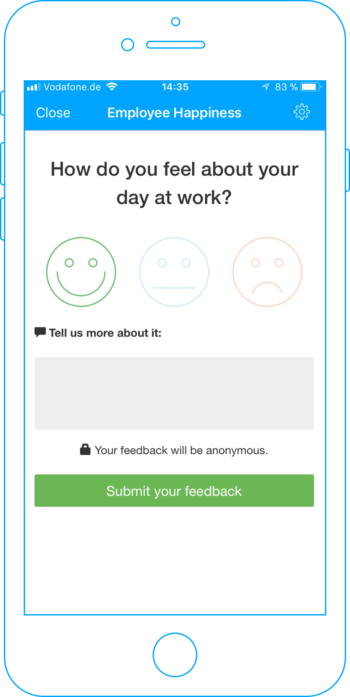 Three basic smileys enable you to track the mood of your employees instantly and accurately. Learn more in Employee Surveys. How does a Pulse Survey look to users? How does a Pulse Survey look to admins and editors? 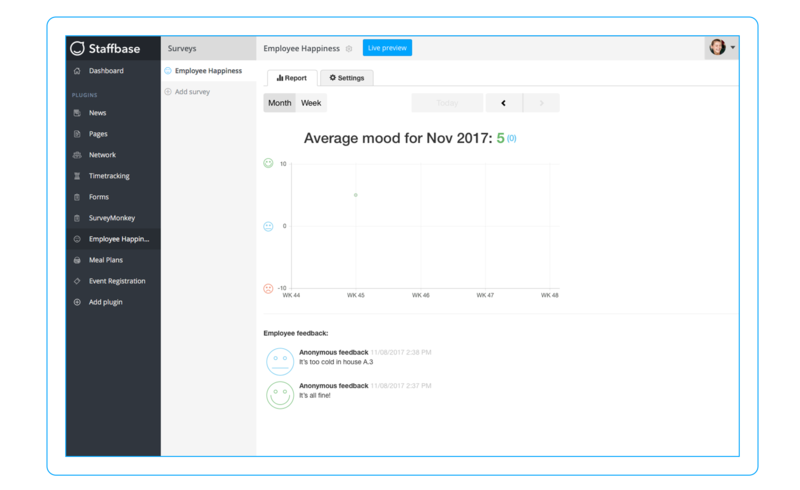 Desktop admin view of a survey—See the average mood of your employees as well as their written feedback, all in one view. 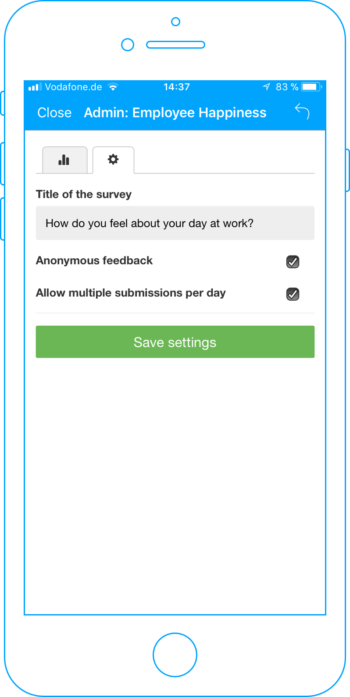 You can also create and edit surveys via mobile devices. Change the title of your survey, set anonymous feedback, or allow multiple submissions per day. See how others do it!